This beautiful sliver ring has inlayed stone called in Morocco shria ( shri-a). The ring has a nice design and fine engraved motifs. 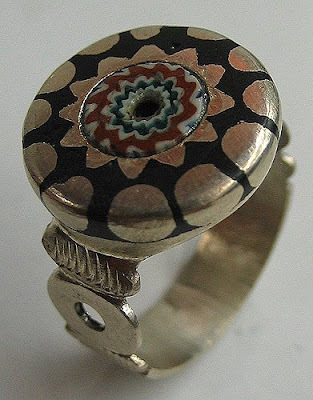 The stone on this ring is believed to protect against evil eye.